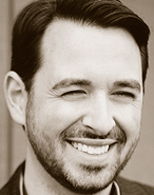 Rand Fishkin is the CEO & Co-Founder of SEOmoz, a leader in the field of search engine optimization tools, resources & community. In 2009, he was named among the 30 Best Young Tech Entrepreneurs Under 30 by BusinessWeek, and has been written about it in the Seattle Times, Newsweek and The New York Times among others. Rand has keynoted conferences on search from Sydney to Reykjavik, Montreal to Munich and spoken at dozens of shows around the world. He's particularly passionate about the SEOmoz blog, read by more than 35,000 search professionals each day. In his miniscule spare time, Rand enjoys the company of his amazing wife, Geraldine. "This book has it all--SEO tactics, history, and articles to back up their writing (which are great for forwarding via email), combined with how to create and execute an SEO program. It's the ultimate reference guide for any SEO." "Search is becoming increasingly important for marketers to understand. Businesses that don't include organic search as a core component to their marketing efforts risk being left behind as their competitors and their customers move forward. This book covers a lot of ground--it's full of stats, advice, and tools to equip marketers in their organic search efforts." "Presenting the inner mechanics of search engine optimization is a daunting task, and this book has accomplished it with flair. The book reveals the closely guarded secrets of optimizing websites in a straightforward, easy-to-understand format. If you ever wanted to unravel the mysteries of the most enigmatic discipline on the Internet, this is the book you want as your guide. This book is so comprehensive and well written, it just might put me out of a job." "There is an art (and science) to search engine optimization. It's not always easy, it's not always obvious, and the results depend a lot on what the major search engines are tinkering with under their own hoods. Thankfully, there is a book like The Art of SEO to shine a light, give you some clues, and help you get ahead of your competitors." "Fantastic read! This is a must-read for anyone in our industry. This book is a veritable textbook, and almost certainly will become part of any curriculum on the subject." "Finally, a guide to the perplexing world of SEO by some of its most accomplished practitioners. The Art of SEO has become my bible of search. Full of clear examples, cutting-edge research, and smart marketing strategies, this is a fun read that can help get your site the search ranking it deserves." "This must-have book by industry heavyweights is a milestone. The material is convincing and compelling. Most important of all, the ideas make powerful strategies for successfully marketing sites online." "Rarely does a work so thoroughly deconstruct the art and science of SEO: what it is, how it works, who makes it happen, and why it is important to the modern firm." "Regardless of whether you're a beginner or an expert search marketer, The Art of SEO delivers! From keyword research and search analytics to SEO tools and more!" "There are no better guides through the world of SEO--the combined experience of these authors is unparalleled. I can't recommend highly enough that you buy this book." "The Art of SEO is an extraordinary book chock-full of the most current wisdom on the constantly changing world of search. This is the one resource you need to help you build a strong foundation for success with SEO." "In The Art of SEO, these four industry leaders have left no stone unturned in their quest to deliver one of the ultimate resources on search engine optimization that has ever been published." "The disciplined and scientific practice of natural search engine optimization is critical to brand awareness and new customer acquisition. The Art of SEO has transformed what has historically been a misunderstood and mystical marketing strategy into an easy-to-comprehend, actionable guide to understanding and navigating the inner and outer workings of SEO." "The Art of SEO will delight and inform the next generation of skilled SEO practitioners. The author lineup is the search industry equivalent of the classic musical supergroup--think the Crosby, Stills, Nash, Young of search." "In The Art of SEO, Eric Enge, Stephan Spencer, Rand Fishkin, and Jessie Stricchiola have taken on the daunting task of compiling a comprehensive, step-by-step walk-through of what it takes to rank well on search. They go well beyond the usual tactical aspects, addressing fundamental challenges like understanding user intent, integrating an SEO culture within your organization, properly measuring success, and managing an SEO project. This is a deep, deep dive into the world of organic optimization, and you couldn't ask for better guides than Spencer, Fishkin, Enge, and Stricchiola. Clear a place on your desk, because this is going to be your SEO bible." "An amazingly well-researched, comprehensive, and authoritative guide to SEO from some of the most well-respected experts in the industry; highly recommended for anyone involved in online marketing." "Written by in-the-trenches practitioners, The Art of SEO is a well-written step-by-step guide providing sensible and practical advice on how to implement a successful SEO program. The authors have created a readable and straightforward guide filled with concise and easily adopted strategies and tactics any online business can use. I now have a great resource to recommend when people ask, 'Know any good books on SEO?'" "The Art of SEO provides the nuts and bolts of SEO and beyond. This book gives you the tools you need to grok and apply a wide range of strategies immediately--giving you the plans to build, and to remodel when necessary--and it assists with hammering and painting, too. SEO is more than just keywords, copy, and layout. The authors deftly guide you through the constantly evolving search engine landscape, in all its aspects. Does SEO permeate throughout everything you publish online? It should. Make each page, each word, each link count. It doesn't matter whether your site is for lead generation, sales, or reputation building. Every web master or marketeer needs a copy of this book on the shelf--or a stack of them to distribute to their team." "More than just a 'how to do SEO' book, The Art of SEO gives even the uninitiated a sense of the overall search industry, its technological importance, and an insider's view of how to strategically leverage search for marketing success. That being said, this is not a fluffy marketing book--it's a practical, tactical manual that should be required reading for anyone responsible for their company's web reputation. I was particularly impressed at how the book helps readers think more about valuing and leveraging a wide range of business assets that companies have already invested in and probably don't even realize it--and how to fully empower these assets to drive engagement and ultimately revenue. There's a reason why SEO remains a top priority for today's most successful companies." "The Art of SEO moves deftly from the search engine basics to the latest in cutting-edge tactics. The authors have distilled the breathtaking complexity of search ranking factors and SEO workflow into immediately usable information for practitioners. Until now, there has been no single definitive guide to recommend to newcomers in the field. Finally, it's here."